(TB2DD3T) Cachin' Freestyle Geocoin - Todie's Wild Ride: Freestyling it. Todie's Wild Ride: Freestyling it. Use TB2DD3T to reference this item. 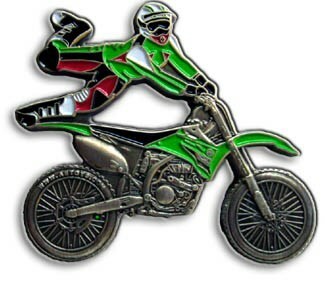 This Cachin' Freestyle Geocoin is released to bring awareness to the dangers faced by pedal bikes and motorbikes alike on our roads today. It is a project initiated by Rockin Roddy in response to the death of his dear friend and caching companion Todie Phillips who was cut off by a left turning vehicle too much in a hurry to notice oncoming traffic. Tod was the 3rd member of Team Rod & Tod w/KAboom. Gallery Images related to Todie's Wild Ride: Freestyling it.